Practice and repetition serve to reinforce and solidify a skill (physical or cognitive). It creates a pathway in the mind. You can’t help but remember something if you hear it over and over. Children learn through repetition – the first few times is just to remember to learn how to do it. After that they are able to apply it. I like this formula – Read, recite, repeat. It just “sticks” better if you repeat, or even write it over and over. God’s Word is full of repetition – He tells us all we need to know over and over. So if this is true with normal life skills and education, shouldn’t it be just as true if not more with God’s Word? The awesome thing about the Bible is it is supernatural! It’s life-giving. It’s powerful. It’s Spirit-breathed. 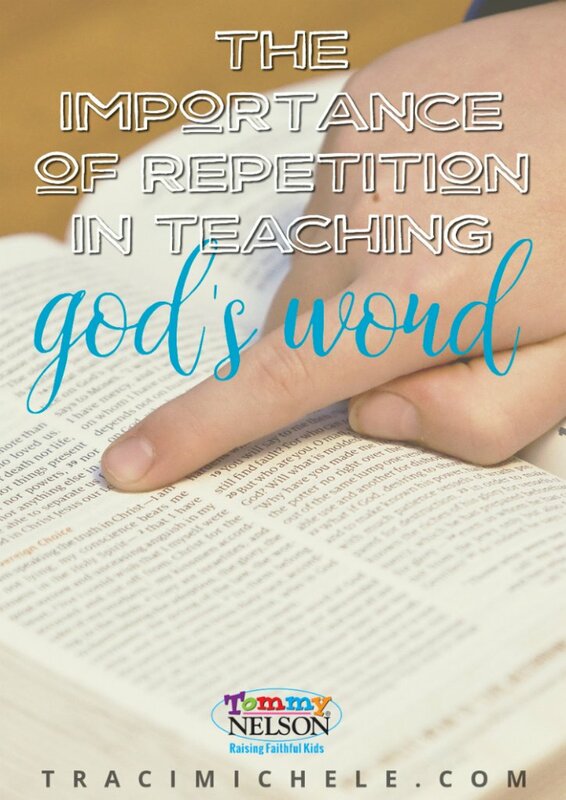 It is just as vital, if not more, to understand the importance of repetition when it comes to teaching and learning God’s Word and applying it. God’s Word says it doesn’t come back void. The awesome thing about the Bible is that it repeats itself throughout the Old Testament and New Testament. It shows the importance of something and gives it credibility. Repetition can be a tool that the Holy Spirit uses to awaken our hearts to the things of God. These are just a few out of many. Why not do your own study? 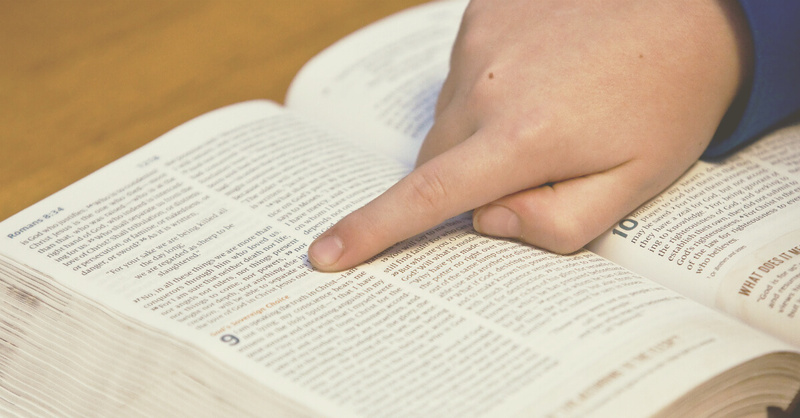 Find out passages, phrases, and words that God saw fit to repeat throughout scripture. This got me thinking… what are we repeating to our children over and over in their growing ears/hearts? One of the sweetest memories I have with my children when they were really young was reading devotions with them. Even though they were super little, they still remember the Bible stories we read together. They may hear these stories over and over at church and throughout their life, but it may be the 10th time that it “clicks” in their hearts. 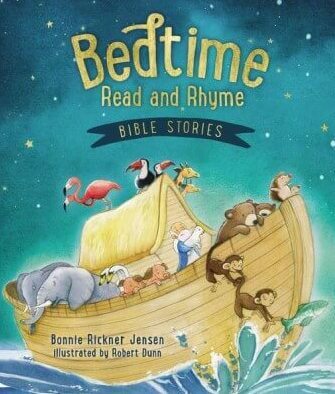 Send your kids off to sleep with Bedtime Read and Rhyme Bible stories. It’s full of 90 whimsical, rhyming stories and beautiful illustrations of their favorite Bible characters. Over 90 stories from the Old and New Testaments tell of delightful, rhyming verses along with prayers that will help little ones grasp and apply each message. Tuck your children in with rhyming reminders of God’s great love for them! Think about phrases you and I need to hear over and over. “I Love You.” “You are worth it.” “You are valuable.” “You can do it.” “I believe in you.” “You will make it.” “I’m sorry.” “Will you forgive me?” Repetition is so important. We could never get by just hearing these things once! Let’s get into God’s Word and hear from him often. Let’s hide His Word in our mind and hearts today! Let’s speak life-giving words over our children, instead of death! How are you using repetition to help your children remember powerful, truth-filled messages? This entry was posted in Blog, Press, Product, Tommy Nelson and tagged Bedtime, Bible stories, Bonnie Rickner Jensen, Children, God's word, Learning, Life-Giving Words, Read and Rhyme, Repetition, Teaching, Tommy Nelson, Traci Little by Traci Little. Bookmark the permalink.